One of the best rewards for reaching my ideal weight after Medifast was adding fruit back into my diet. I have blogged about this before so will not bore you again with my blueberries tasted amazing story. But after not eating melon or berries or peaches for several months, I realized why some people call fruit "nature's candy." serve your blast in a mason jar. After transitioning off Medifast, I started eating fruit as a snack with Greek yogurt, cheese and/or nuts, as well as in my salads; but now I have a new favorite way to consume it -- in a NutriBullet blast. For those who have been on Neptune the past few years, the NutriBullet is an extractor machine that is neither a blender nor juicer. What it does is break down fruits and vegetables to the cellular level so they are virtually predigested; thus, more nutrients are absorbed into the body. 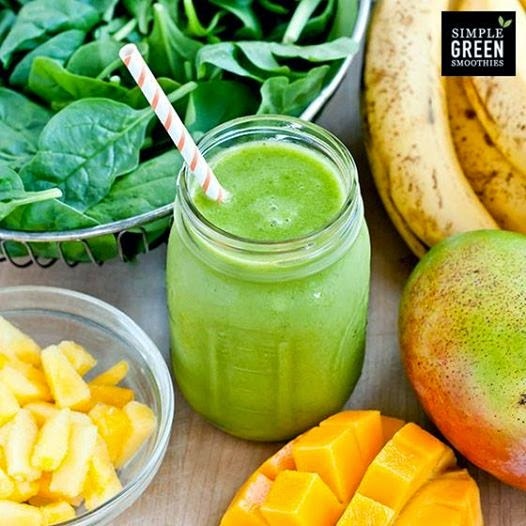 You can make pretty much anything in a NutriBullet you can in a blender or juicer, including shakes and smoothies; but the company recommends a mixture of half greens and half fruit, along with some kind of liquid. You can also add nuts, chia seeds and various vitamin potions to these beverages, which the company cutely calls a "blast." Sometimes I'll throw in a chunk of potassium rich frozen banana, which makes my NutriBlast more creamy. Cashews do this as well. I also keep a bag of frozen spinach in the fridge in case I run out of kale. 1. After drinking them, I feel full and do not crave junk food. 2. They are a great way to consume a variety of healthy vegetables and fruits. 3. They are portable. I can make one in less than five minutes and drink it in the car. 4. The NutriBullet is super easy to clean -- just rinse the container and blades under cold water. I have a Vitamix I hardly used because it such a pain to clean. 5. Um, let me think about this. I just don't like lists that have an even number of items. And, if you're still on Medifast, the NutriBullet makes awesome Medifast replacement meal shakes (which I still drink on occasion). You can even add some of your greens to the mixture if you didn't get enough at your Lean & Green meal. Or coffee (for a faux Starbucks drink).